Playgrounds.net Blog: Boy is it Hot Outside! Good afternoon readers! I hope this post finds everyone able to relax in the shade! It seems like the whole country is experiencing very hot temperatures right now. I hope everyone is staying hydrated and cool. But don't let the hot temps keep you from spending time outdoors. As long as you have sunscreen and water at hand you will find you can still have fun! Some of our equipment does have a shade element included. These products are always a favorite when the sun is high in the sky! One of my favorites is the Play-Zee-Bo. 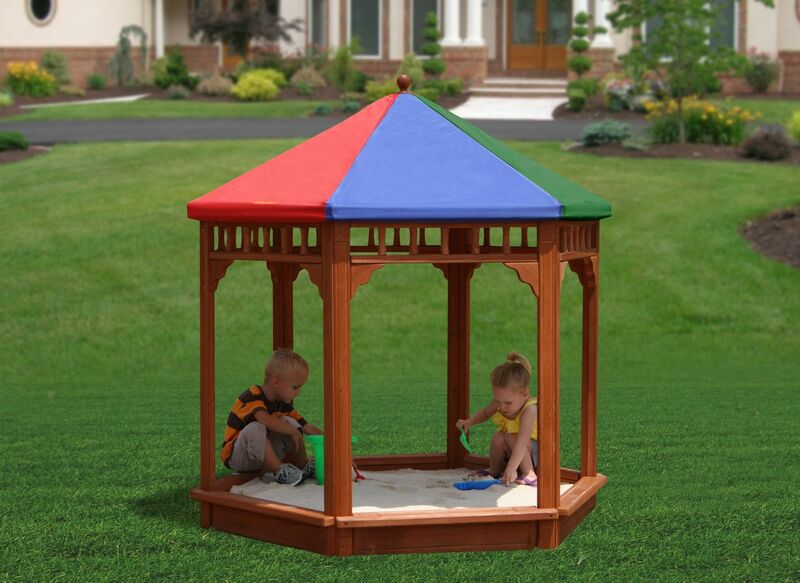 It is a sandbox styled as a gazebo. The Play-Zee-Bo offers shade while kids play in the sand. Sand also can be nice to play in when it is hot outside because shaded sand is often feels cool. The polyester roof that comes with the Play-Zee-Bo is waterproof as well, meaning that kids do not have to stop playing in case of an afternoon shower! Stay cool in the heat and have a great weekend!